Question 1: Amid the dangerous standoff now at the Paracels, is Vietnam considering to resort to legal remedies like the Philippines’ decision last year to file an arbitration case before a tribunal operating under UNCLOS? If yes, how soon will this happen and what and where will you file a case? What way out acceptable to both sides do you envision in the Paracels? Does Vietnam’s limited options in dealing with China’s deployment of a rig include a military solution? How prepared is Vietnam for that and what are the prospects since the Paracels standoff has gone on for weeks without a solution in sight? Military solution? The answer is No. Viet Nam has endured untold suffering and losses from past invasive wars. Therefore, it is always our earnest desire to have peace and friendship for national development. We are never the first to use military means and would never unilaterally start a military confrontation unless we are forced to take self-defense actions. Viet Nam has been consistent in pursuing peaceful means by making use of every opportunity, every dialogue channel to peacefully settle the current situation. Viet Nam has displayed utmost sincerity, honesty, good faith and exercised restraint. However, the response from China has been an increase of force and acts of intimidation and violation, and repeated slanders to blame on Viet Nam. There is a vast gap between the words and deeds of China. What China has been doing in the maritime zones of Viet Nam in the past days is extremely dangerous, seriously threatening peace, stability, maritime security and safety, freedom of navigation, and cooperation and development in the region and the world. I wish to underscore that Viet Nam will resolutely defend its sovereignty and legitimate interest because territorial sovereignty, including sovereignty on its maritime zones and islands is sacred. We always want peace and friendship but this must ensure independence, self-reliance, sovereignty, territorial integrity, and maritime zones. These are sacred and we will never trade them off for some kind of elusive, dependent peace and friendship. 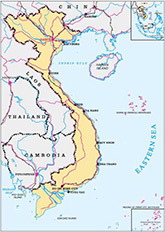 Perhaps like all countries, Viet Nam is considering various defense options, including legal actions in accordance with the international law. Question 2: What does Vietnam hope the international community, leading powers like the US and Japan and multilateral institutions like the UN and ASEAN would do to help resolve the dangerous standoff in the Paracels? And due to the prevailing situation in the South China Sea, is Vietnam now willing to consider a formal security alliance with the US as an option in the future? I wish to reaffirm that Viet Nam will not join any military alliance against another country. This is the consistent foreign policy of Viet Nam. We have made this known in many occasions to the world. With regard to China’s illegal deployment of oil the oil rig Haiyang Shiyou 981 that has seriously infringed upon the continental shelf and exclusive economic zone of Viet Nam, we have communicated and provided factual information to international organizations, governments, political circles, scholars and international press and media. The UN Secretary-General, leaders of various countries, individuals and international organizations have voiced their grave concerns over the threat of such violations to peace, security and stability in the region. I believe that the international community assess the situation correctly and continue to speak out accordingly in order to prevent this serious threat to peace and stability in the East Sea. Viet Nam urges on the international community, countries, individuals and international organizations to continue expressing strong protests against such acts of violation of international law by China. Question 3: It has been said that China and Vietnam have had both adversarial and fraternal ties for so many years and Vietnam really would not risk severing its ties with China. Is China’s deployment of an oil rig off the Paracels a game changer that would force Vietnam to cut off all ties to the Asian powerhouse? If ties are severely strained or cut off, how can that affect Vietnam’s economy and political stability? It is hard to give a short answer to your question. I just want to say that Viet Nam always holds profoundly to its heart the friendship and equal and mutually beneficial cooperation between Viet Nam and China, as it not only delivers fundamental, long-term benefits to both Viet Nam and China, but also contributes to peace, stability, cooperation and development in the region and the world. If on the contrary, you can surely imagine what would happen. I wish to underline again that Viet Nam attaches special importance to and does whatever it can to maintain and strengthen good cooperation and friendship with China. 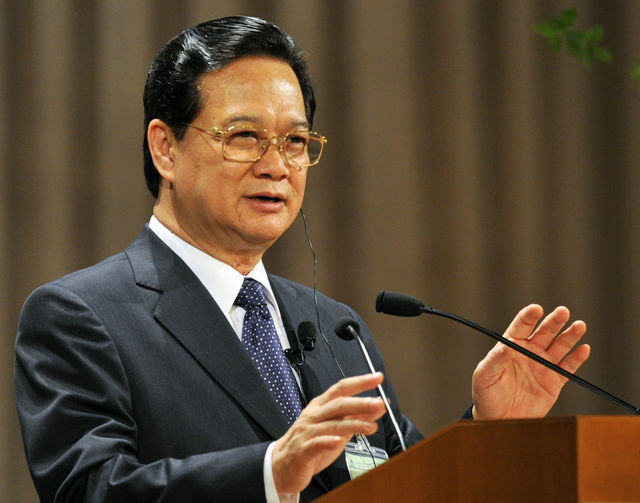 Viet Nam always sincerely wants to work with China to settle disputes via peaceful means on the basis of the international law, equality and mutual respect. Regarding China’s illegal deployment of the Haiyang Shiyou 981 drilling rig in Viet Nam’s maritime zones, we vehemently protest such acts of infringement and resolutely protect our national sovereignty and legitimate interest in accordance with the international law./.